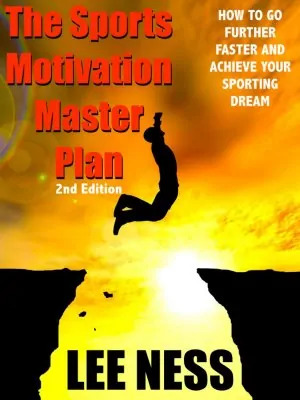 Click here for my review on Lee Ness’ Sports Motivation Masterplan. Buy it on Amazon USA or Buy it on Amazon UK. Indoor competitions over the winter are great fun. There is often a resistance from some coaches and athletes to running indoors, often due to the misconception of “peaking too early” or even the risk of injury. These aren’t really valid reasons in my opinion and as long as you prepare correctly, there are no real risks. I treat indoor competition as great training. With the weather and conditions we have in the UK, proper speed work in the winter is always a struggle. However, 3 or 4 indoor competitions in January and February can make a world of difference. There are a few differences to running indoors for sprinters that are significant so I’ll describe them here. I often hear that the race profile for a 60m is the same as for a 100m, just without the deceleration over the last 40m. The thing is, a lot depends on the type of sprinter you are. If you make your gains in the last 40m because you are one of the bigger sprinters with longer levers, then running a 100m race profile isn’t really going to work for you. 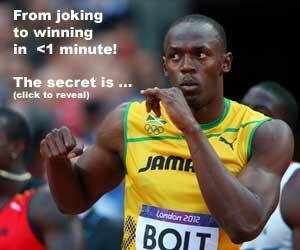 Often, a taller sprinter of the Usain Bolt variety will not bother with 60m because of this. I like mine to compete over 60m though because there is nothing that focuses the mind on starting and acceleration for an athlete in training than knowing they are going to be competing in a 60! Additionally, because of the lack of speed endurance required, you can throw a bit more into the acceleration phase without fear of burning out at the back end of the race. Each athlete is different and will need to work out their tactics, but don’t assume a 100m profile. 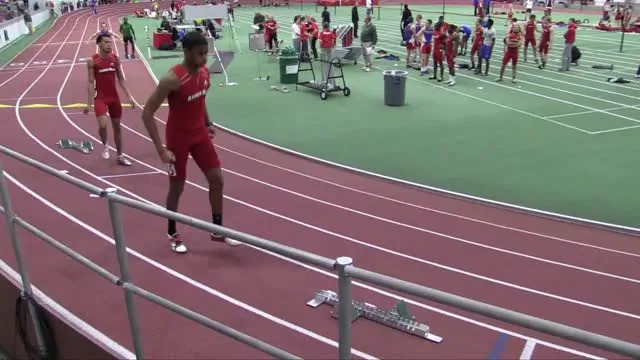 The most important thing about running a 200m indoor is being able to run a bend. It sounds obvious, but I have sat and watched an area championship event where in the qualifiers and semi-finals there has been 1 or 2 disqualifications per race for lane infringements. I even had one of my own athletes who was so focused on his acceleration that when he came up into transition phase he realised he had crossed into the lane outside him. So many athletes can’t hold the bends at full speed. If you struggle in the inside lane of an outdoor track, you’re not going to run fast indoors. I once saw someone running so hard on the second bend without being able to run the bend properly that they ran right off the track. The indoor 400m is the only individual sprint that has a break of lane. To that end, it is not only great fun, but it needs different tactics. In my opinion, the indoor 400m is more suited to a speed based 400m sprinter (200/400 runner) than an endurance based 400m sprinter (400/800 runner). This is because position at the break is important. People tend to think that the 400/800 type is better suited because they are used to running in a bunch, but it’s no use if you can’t control the race and you can only do that from the front. To be at the front, you need the speed to get that position at the break. There isn’t much in the way of a straight at the end of the race to make a serious move and you always have to go around the outside if you’re coming from behind. So, once you have the position at the front, you need to make it hard for anyone to get past you. This usually means commanding the inside lane and making the passing position a long way round. Once you are in position 1, the person in position 2 not only has to make up ground to catch you and overtake you, they also need to run further, meaning they need a lot more speed. Once they come, if you can pick up your speed, you are making it exponentially harder. Getting position 1 can be physically difficult, not just because of the sprinting. You have to be aggressive enough that you aren’t just going to get barged aside. You have to be able to hold your line against people that will be trying to dominate you. Suddenly, sprinting becomes a contact sport! The Indoor 400m: Sprinting becomes a contact sport! So many athletes I speak to have never run indoors and no matter what they convince themselves, or their coaches, there are no good reasons for this. It’s great fun, great training and as long as it is part of a properly structured training and competition year, it can only benefit progress.